Why Do People Form Governments? 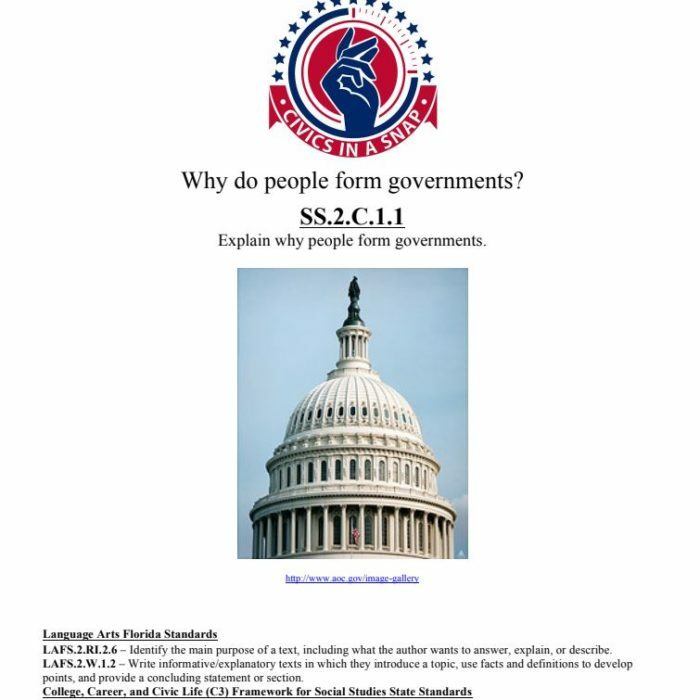 This short lesson, targeting early elementary, is intended to introduce students to the concept of government and how one of the most important purposes of government is to keep us safe. Students will also be introduced to the Constitution and the three branches of government.